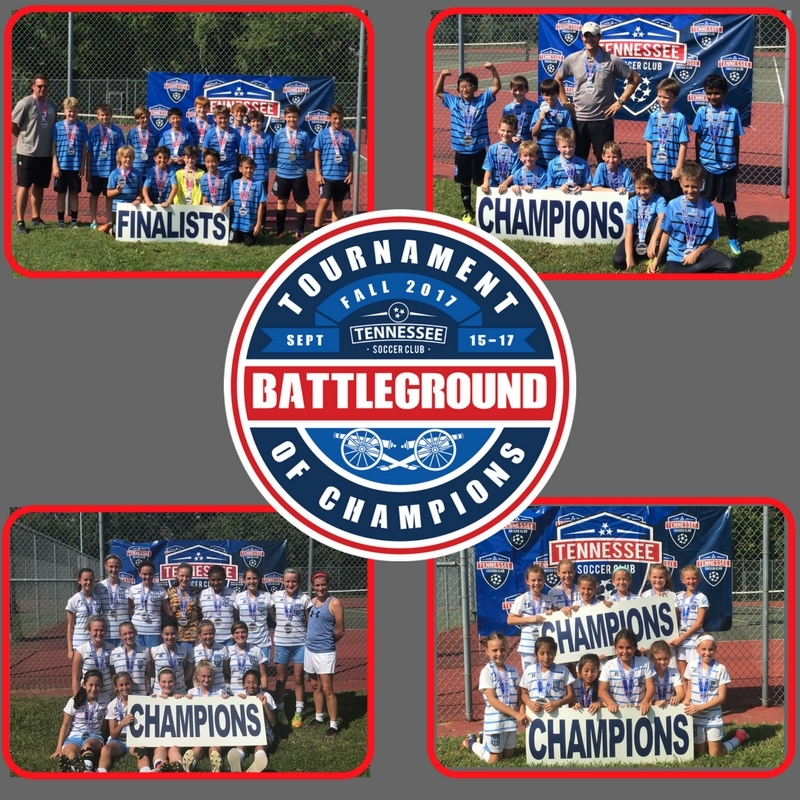 Congratulations to our U14 Girls, U10 Girls, and U9 Boys as they won their divisions this past weekend at the Battleground Tournament of Champions in Nashville, TN! Also great job from our U13 Boys and U10 Boys as they reached the final in their respective divisions! We are very proud of these teams for a great start to the fall season!